We were always asked how we can permit so many vacations per year with our kids. Apart, of the thing that we work really hard and evit to spend money on unnecessary things. We always have a look at different metasearch engines to grab the best offers to the flights. At least, once per week, I am looking for a best deal to buy cheap flight. Below I will share with you the best tips to buy cheap flights. Learning how to find cheap flights to anywhere in the world will help you to reduce amazingly the travel costs for your future travels. There are great strategies and tips I will share with you as you can apply to find cheap air tickets! It’s hard to believe, but there are still people who get their flight tickets when visiting local travel agent and book flights via them. Nowadays, we have metasearch engines (aggregators) and online travel agencies that buying flights online can’t be easier now. 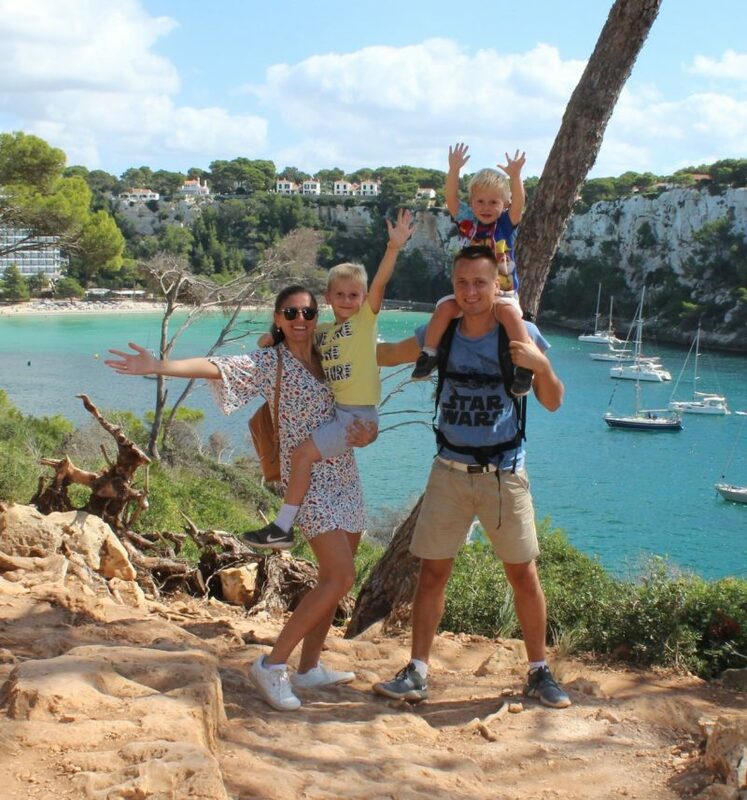 When thinking about how to find cheap flights online, the cheapest fare is only part of reducing the cost and if you’re flying with kids like us, it’s often about BEST VALUE rather than the lowest price. Know your priorities, comfort levels and budget and make a great decision – sometimes a bit of comfort is worth the extra cost. FLEXIBILITY is most important when you’re trying to find cheap flights to anywhere in the world. 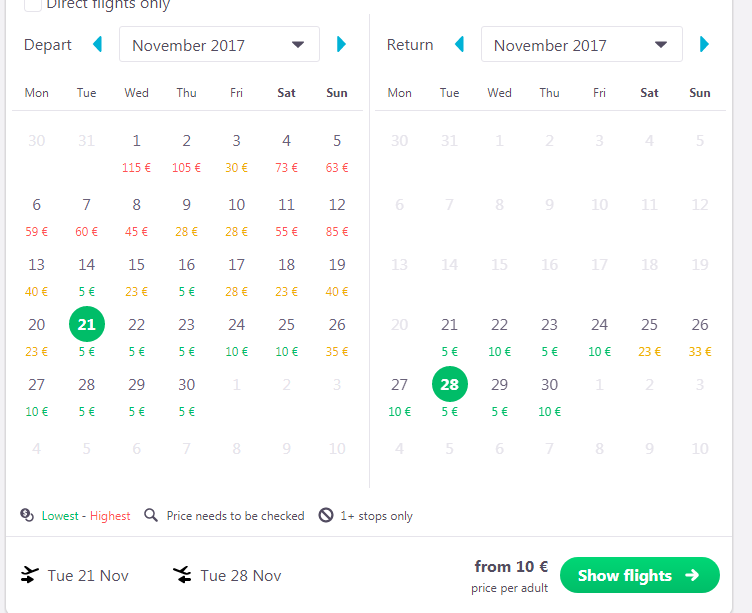 If you have fixed travel dates, or you can only fly during popular holiday periods, it will be more challenging to find a good price for a flight, but not impossible. As mentioned previously, the best way to find cheap flights to anywhere is to be FLEXIBLE with your travel dates. Give time to your trip, check a couple of days or even weeks till you will find the best deal for your future travel. 2. Search the flight earlier. Once you have decided on your destination, start searching and continue every week to look for the prices. Later, you will read an exact example how to do your searches easily and with no pain. Flight prices fluctuate constantly, that is why,when you find a price that for YOU is comfortable enough to your savings, be ready to jump on it. Sometimes last minute deals for the flights are better than you have bought it, but it is not always like this. From our experiences, very few times, the prices went down and the flights were cheaper than we bought them. As mentioned, you have to be flexible enough, to get a deal for the flight. The best to fly out days are Tuesday, Wednesday or Saturday, sometimes I have seen Monday as well. These are typical off-peak days with airlines carrying fewer business travelers, usually meaning lower fares and a surplus of seats. Fridays and Sundays are usually the most expensive days to fly. Even, for booking your accommodation later, Fridays and Saturdays are usually more expensive. So, your trip will be expensive enough at the end if you will choose flight for a weekend. 4. The best time of the day to fly. The difference between flights hours can be huge, sometimes it can be twice expensive if you choose a very demanding hour. Flying at unpopular hours, increases your chance of getting the best deal. Most of the time, the cheapest flights leave either very early in the morning or late at night. Both of these timings we like, as kids sleep during the whole flight and it is easier for us to enjoy the flight. If there is more than one airport near your origin or final destination, check them both before making your flight booking. The more options you have in terms of airports and travel dates, the more likely you will be able to find the best deals on airfare. We do not use this advice, as for our kids comfort we choose only the airport that is close to our home. 6. Fly where the deals are. For our family this tip is number 1. Instead of choosing a destination and then spending days or weeks trying to find a flight deal, considering flying to where the cheap flights already are. Choose a destination you can comfortably afford and one you’ll enjoy. Use a metasearch engine like Skyscanner that lets you type in your departure city and search for a list of cheap flights to anywhere in the world. If you are flexible with the destination, these are handy tools and fun to play around with. 7. Sign up for flight deal Email Notifications. Sign up for your the airlines e-newsletter that you use to fly. As promotional fares and discount codes reserved only for email subscribers can save you money. You can also be notified of last minute cheap flights. Nowadays, low-cost airlines are charging for everything these days, and if you have 2 bags or more, expect to be charged for it. Try to keep all your luggage within one bag per person, and make sure your luggage is not oversized. 9. Delete your cookies/history when searching for flights. Some websites store your search data and will increase the price of the flights if they know the specific flights you are looking for. It happened to me and not once, that once searching for the flight with incognito browser window, the meta search showed me cheaper prices than a normal search. 10. Save the best websites for booking flights. Buying flights online is getting easier and quicker. When we start our search for cheap flights to anywhere in the world, we always start with skyscanner. And then look for prices at momondo, kayak or directly with airlines website. On the aircompany website I usually go, only if I receive an interesting offer to my email, and I know that there is a special deal for me as a subscriber. How to make use of a metasearch engine? How to get best deal ever. Below I will show you in detail best tricks to find cheap flights on flight engines like Skyscanner, Kayak and Momondo. We always start with Skyscanner, it’s one of our favorite booking sites. Skyscanner is a flight comparison site that is simple to use and fast. It searches millions of flights on over a thousand airlines, including online travel agencies and airline companies. Once done your search, and you are ready to proceed with the flight you are taken to the airline or agency to make your booking. Be aware to choose the right currency. Know your destination, but not your date? Thinking of flying from Barcelona to Santorini this year but not sure when is the best time? Skyscanner allows you to see prices for tomorrow, in a week, in a month or the cheapest month. The website will tell you the cheapest dates to fly. This feature I like the most. As we made use of it on our travels to Fez, Morocco, and for our next trip to Lanzarote. It allows you to type in the word Everywhere in the “To” box. This helps you to select the cheapest destination from your point of origin. Or you can also just leave the “To” box blank. If you’re not fussed on your destination and just want to get out of town this is a fun tool. in the FROM field type in your departure city. 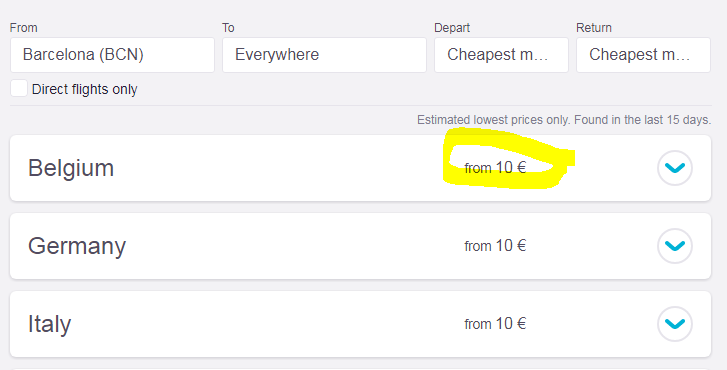 in the DEPART and RETURN section Skyscanner lets you see cheapest month. At the end price go up, and I suppose it because of kid fare. Kids fares are standard and even if there is a deal in price, kids fares remain the same. Anyway, it is cheap enough to visit Belgium. Aren’t you agree? I like those features. 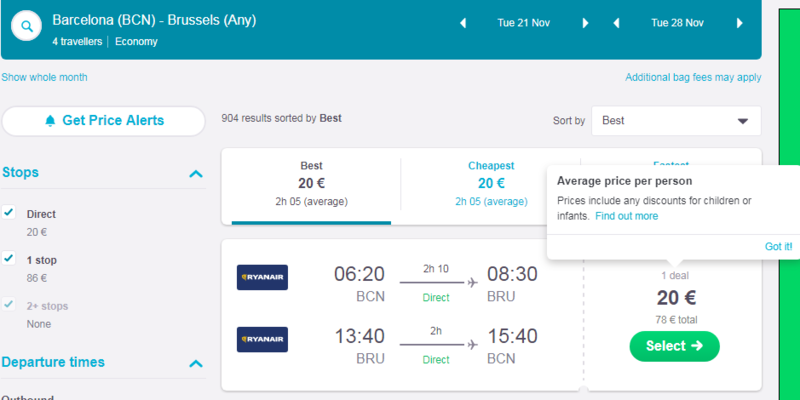 Skyscanner allows you to find the cheapest flights without having to enter specific destinations, making it a great resource for finding cheap flights for your next getaway. Another metasearch engine I like to check is Kayak. It feels like it has been around forever (which might count for something) and it’s simple to use and compares hundreds of sites in a comprehensive, fast and intuitive display. Once you find what you want, they give you choices where to book. You can search +/- 3 days either side of your preferred date, flexible for a month and add nearby airports and other filters. Once you hit explore you’ll instantly see a map with all the destinations listed. This tool is a great way to find the right place to go with a specific budget. 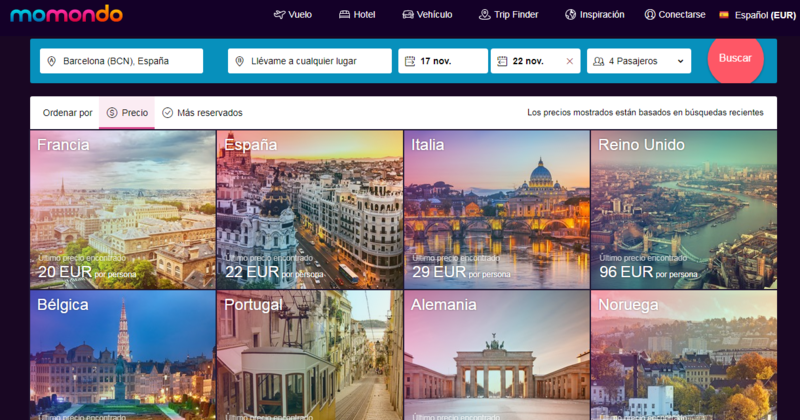 Another metasearch site, Momondo is a global search site that checks the leading travel sites including low-cost carriers. So the site may not be that ideal for those who want to play around with flexible dates. After you have used the flight search engines suggested above and found cheap airfare for your desired destination and dates, go direct to that airline’s own website and see if you can get it for cheaper. No flight search engine is perfect and not all airlines, especially low-cost carriers appear on every search engine. It all depends on contracts metasearch engines has with the airlines or with online travel agency. A lot of Low cost companies try to keep costs down by not paying a booking commission to search sites. Don’t forget to compare hidden airline surcharges like baggage fees and specialty taxes. 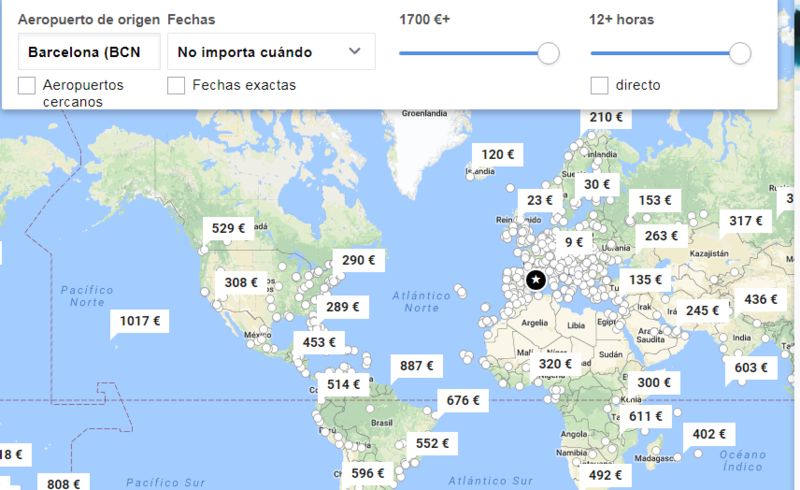 Different airlines charge differently and some of these search tools don’t always show those costs – you might think you’ve found cheap flights, but these extras add up! Play around with those search engines, try to be flexible on dates and times of the day you fly, and keep checking prices regularly. Previous Post 1 day trip with kids to Zaragoza. Top things to see with kids. Next Post Lanzarote – Paradise on the Earth, our Lanzarote Experience Tours review. Family experience to Lanzarote. Thanks for sharing. Kayak is my favorite travel booking page but never heard of Momondo. Thanks for the tip! Thanks for taking time and read all the information. Momondo was one of the latest search aggregators created, and recently was bought by kayak company. Their prices and direct and connected flight options are reasonable plus visa has many hotel and travel options. Agree, your wish to go to Bali, seems wonderful, hope you will get there soon and share some pictures with us. Totally agree with you Roger, we love skyscanner too. Yes, we always go for the cheapest, and for the reasonable timings and without stopovers. This is mainly because of our kids. This is an amazing post with so many crystal clear information and useful to all travellers. Thank you Adward so much. I am so glad that you find these tips useful. I was looking for some time any similar information on google, and didn´t find it. You explain so good all. Share more tips here, I will read these with pleasure. We have more tips on other posts. We are really happy when we see so many positive comments. This is an amazing post with so many crystal clear information and useful to all travelers. Thank you so much, I have worked some time on it, as I wanted to share as much detailed information as I could. It was very informative. The blog was vivid and insightful. It really helped me choose and book Cheap flight ticket from Airohub. I am happy that our article helped you in choosing cheap flights for your next destination to discover. Wish you a wonderful time. I am thankful because of this 10 BEST TIPS TO BUY CHEAP FLIGHTS! Thanks for sharing this great article with us. I am now ready for our next trip. 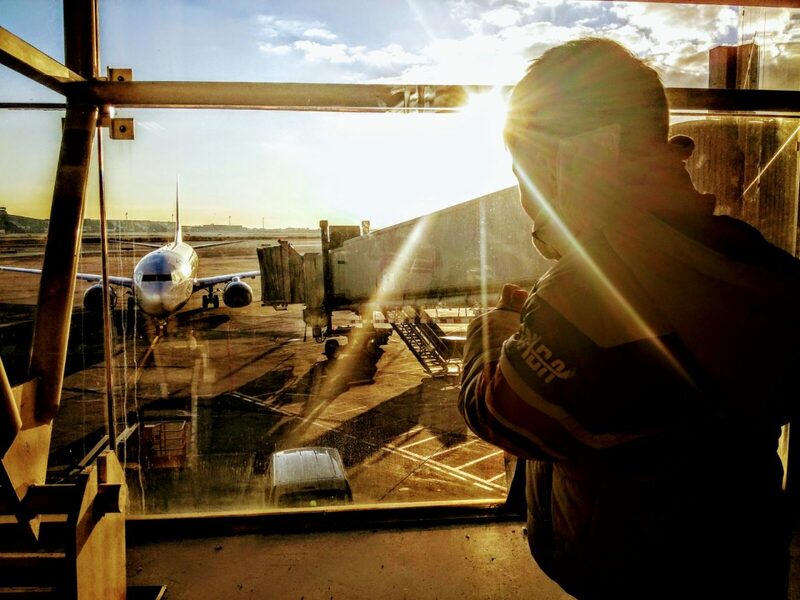 We are so happy that our advices help other travellers to find great deals on flights. Thanks for sharing these handy tips. I will definitely use those next time. I have been using Airohub which has the best deals for cheap flights to France. Great! We are so happy when people find useful the information we publish on our blog. Thanks for sharing the tips.10 BEST TIPS TO BUY CHEAP FLIGHTS. I have been using Airohub which has the best deals for cheap flights to Lyon. Thank you for stopping by. We really appreciate the people who leave their kind thoughts on our blog. I have checked a portion of your flights related articles.It is an instructive post. Thanks for sharing the tips.10 BEST TIPS TO BUY CHEAP FLIGHTS.I have been using Airohub which has the best seals for dhaka to kolkata flight . Thank you for stopping by, really appreciate this. Hope you enjoyed the article. Great tips! I will surly be utilizing some of these when I book our next vacation. I have hubby convinced to go a little farther away, and we have decided to fly. But tickets for 6, I will certainly be looking for a deal. It is matter of time, for sure you will find a great offer for all 6. And wish you a great holidays. thank you for stopping by and leaving another great website to share. thank you for sharing this blog! It is very useful and informative..
thank you a lot for appreciations. Grab best deals on Frontier Airlines flight tickets and reservations. Book Frontier Airlines flights with eFlightsBooking and get best airfares. Thank you so much for appreciating it. Hope you found those usefull!! These tips are really helpful for Travelers getting cheap flights. At Cheapfaremart you can find more option for getting cheap flights tickets. Great! Thank you for sharing! It is so impressive, how this article brings people likeminded. Wish you a great week! Hey, This is a fabulous post very informative and useful to all travellers.